June is slow and quiet. 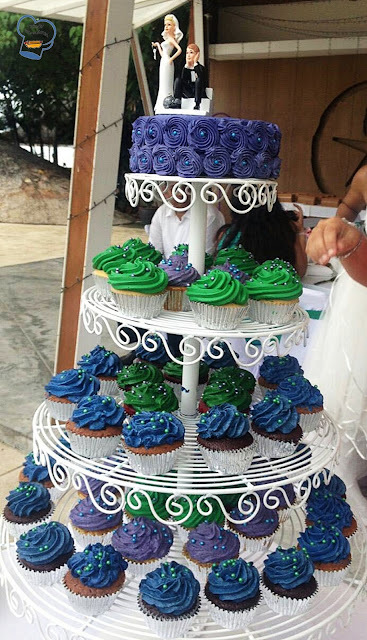 I thought I had all the time in the world to make these cupcakes for a wedding. I was wrong. 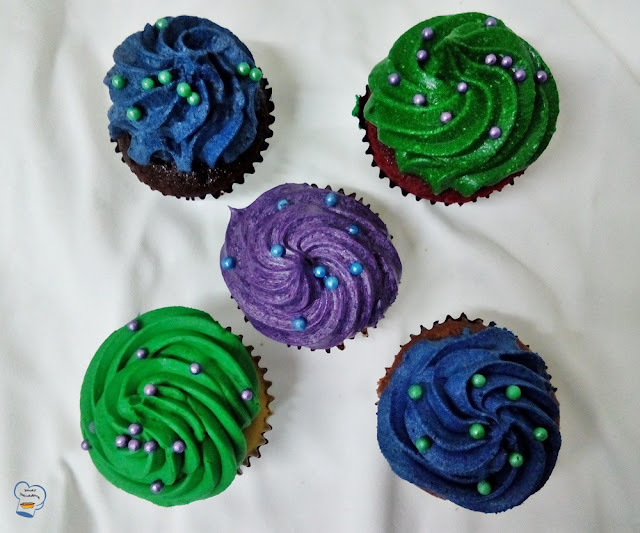 I spent a great deal of time baking, filling and frosting them. You may wonder why. What happened was the bride wanted five different flavors. Not only that, the frosting came in different flavors and colors as well. 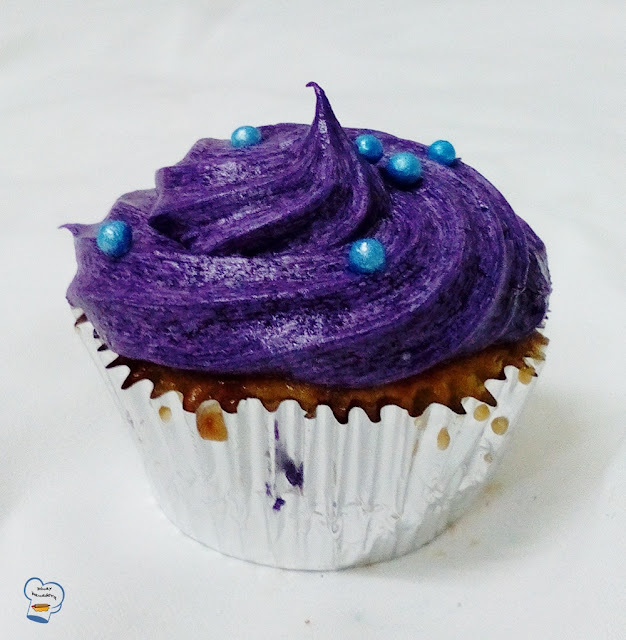 Tinting the frosting in dark green, purple and royal blue was a daunting task. It was a bit of a challenge to get the right shade. I felt somewhat intimidated by the amount of work that has to be done. 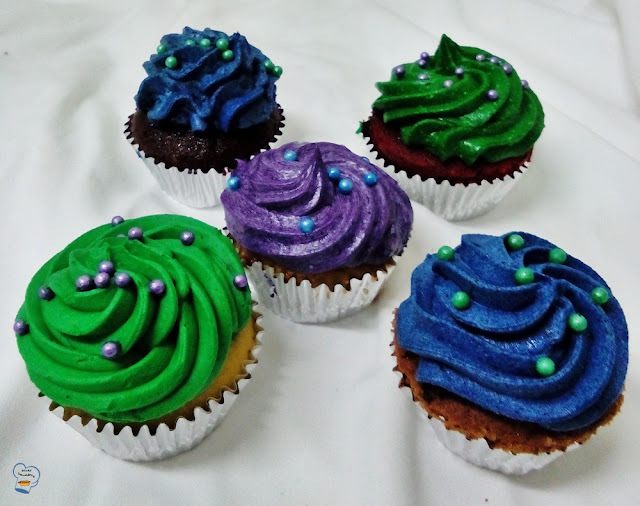 Imagine whipping up 24 cupcakes for each flavor all on your own. I was drained at the end of the day but pleased to know that the bride loved her wedding cake. 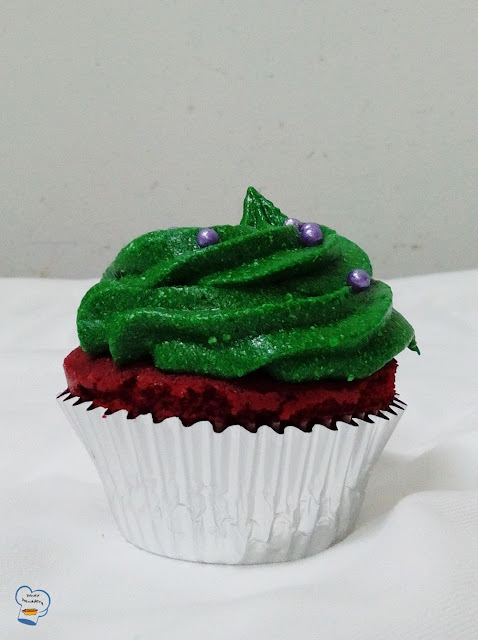 Red velvet cupcake with cream cheese frosting. 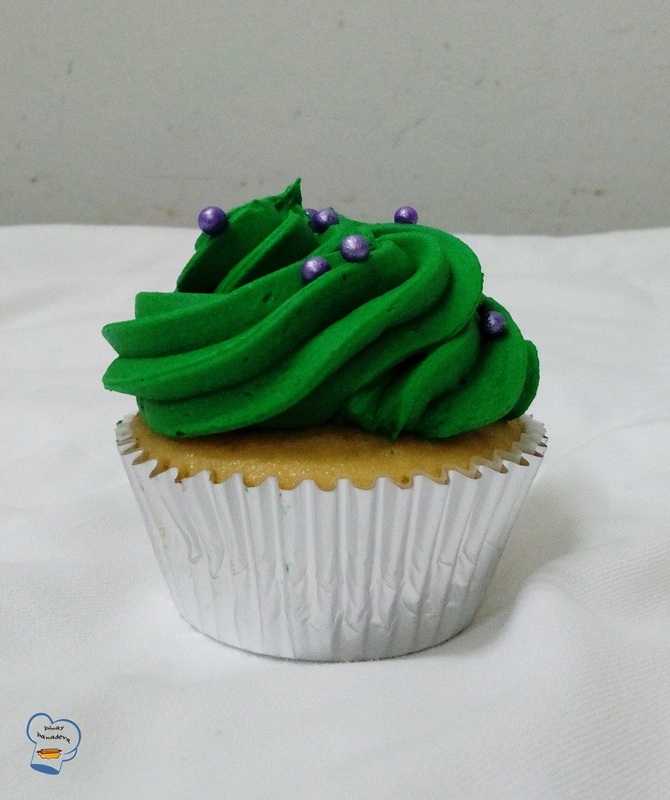 The runny frosting was due to the amount of color added to it. Well, the color was what the bride wanted. Of the five, mango cupcake was the most demanding. Before icing it with mango flavored frosting, I filled each cupcake with mango custard filling. The custard powder, which I use only during an emergency, came in handy. I added mango puree to the cooked custard. Fast and easy. 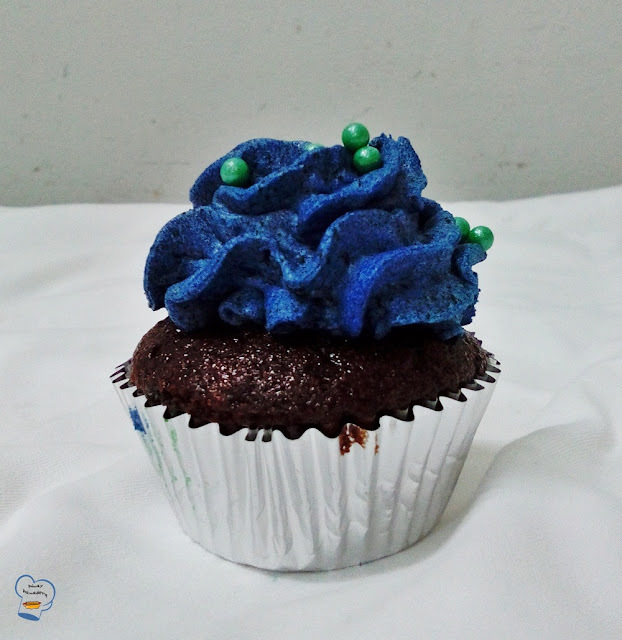 A simple and quick to prepare was this Rocky Road cupcake frosted with vanilla butter cream. This tiramisu cupcake was basically just vanilla cupcake soaked in espresso glaze and frosted with cream cheese frosting. The glaze was made by mixing together icing sugar and freshly brewed espresso. Chocolate cupcake with oreo frosting. I added crushed oreo cookies to the butter cream. I tinted it with royal blue. I guess I didn't crush it enough as the cookies clogged the tip of my piping nozzle. It made it almost impossible to ice the cupcake. . This was the last batch I made. I was running out of energy. 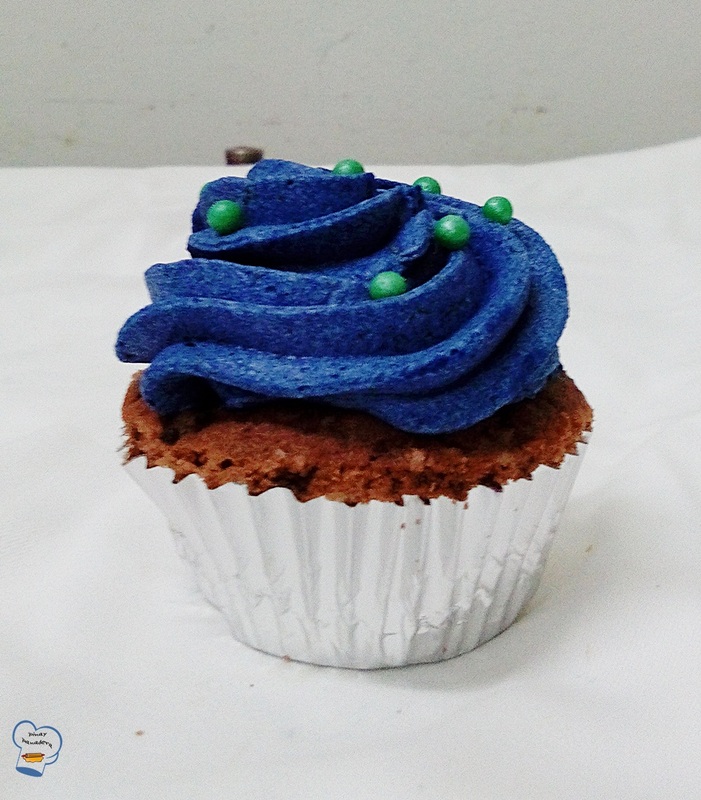 Despite my struggle, the frosting came out nice and fluffy. The cupcake tower looked beautiful.